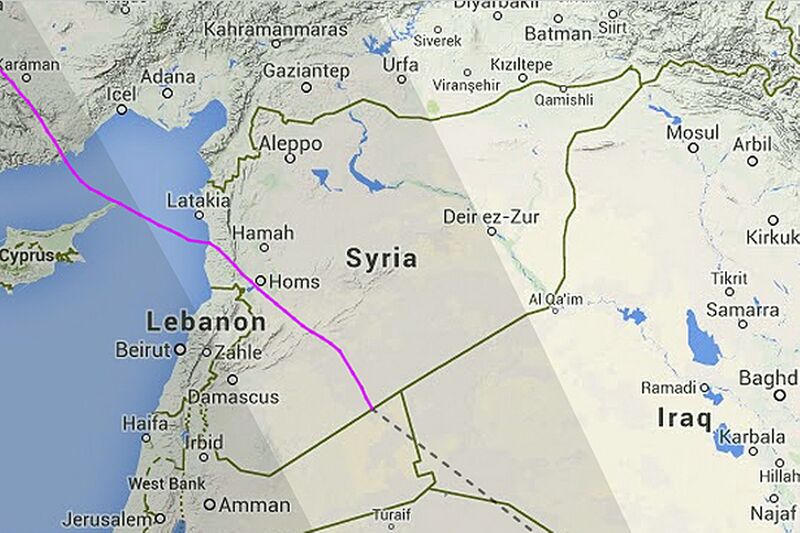 Malaysia Airlines Aircraft Flies Over Syria To Avoid Ukrainian Airspace! Most of the airlines can’t fly over eastern Ukraine because of safety concerns but a Malaysia Airlines aircraft chose a different route over war-torn Syria. On Sunday evening, the plane was diverted from the war-torn country due to the missile attack on flight MH17. Three days later MH17 was shot down over dissident held eastern Ukraine, another Malaysia Airlines flight MH4 from Kuala Lumpur to London take wing over Syria on Sunday, said FlightRadar24, who tracks air traffic around the world. According to FlightRadar24, the plane was passed near Homs, which is a rebel stronghold and a key point for attacks in the Syrian civil war.